Jackie Chan comes to Teppan! Yup, that is what the new chef, a South American returned, Philippines national calls himself. Jackie Chan! He may be Jed Ursal by birth, but he likes to be called Jackie Chan! 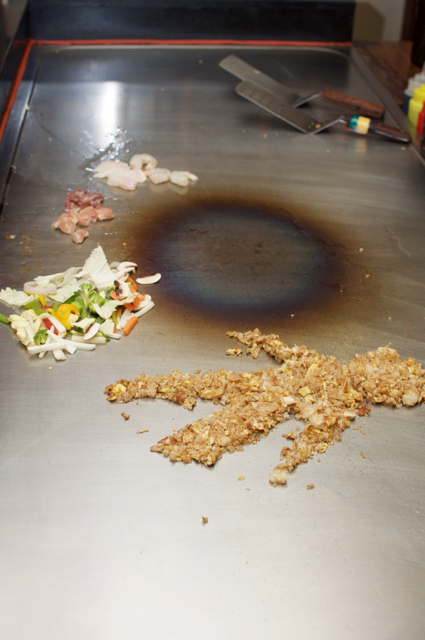 He may not be the greatest Hibachi chef around with this tricks. Some were good, some were usual, the noises were typical of a Teppankayi, some missed eggs, some mistakes! Thankfully, this guy's food is lot better than his tricks! The new menu is exciting and we didn't order anything from the old menu! 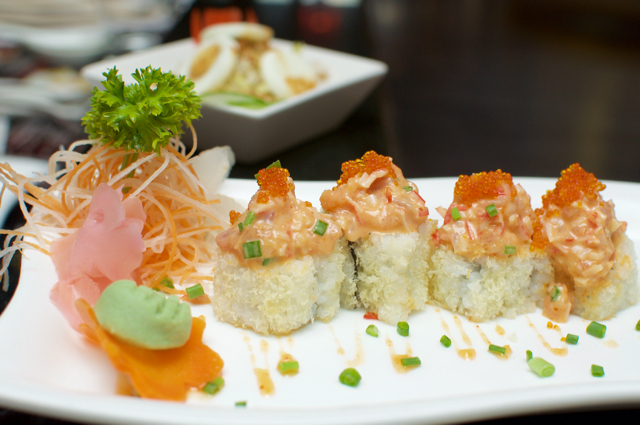 He had us at our first dish, the SHIFFUDO MAKI. Unlike what I am used to in sushi with a single protein, this one is a mixed seafood, with some kind of vinegary rice topped off with some tobiko (fish eggs)! This was a stunning new experience for us and we loved it. There was some crunch and though it didn't feel too Japanese, with slightly more sauce than usual, it was a great package! The next sushi was the Scandinavian Maki, with salmon and stuff. It was nice, but was no match for the Shiffudo Maki. 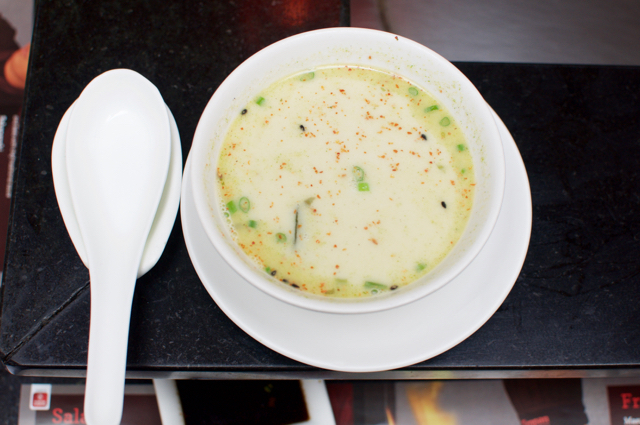 Then another stunner from the new menu, a soup. How good can a soup get? Well, it depends on the flavour profile and here it was super unique. A broccoli soup with seaweed! The balance between the two was simply perfect with neither overpowering the other! We were then debating between taking another starter and going with a main course. 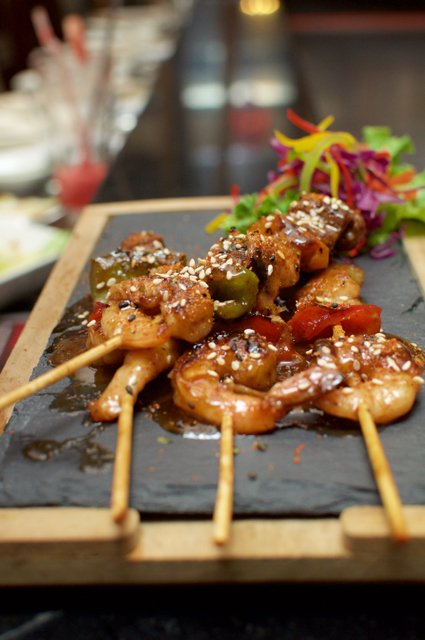 These days, we'd prefer going overboard on starters and sharing one main course! We decided to do both! Surf And Turf. In Miami, a surf and turf denotes Steak and Lobster. In Teppan, it is Japanised as Beef, Prawn and Fish skewered and grilled and we were so glad we asked for it. It was a lovely dish with three different textures of meat and all grilled to perfection. Between the two of us, we shared one chicken egg fried rice off the Teppan where our Jackie Chan did this tricks. Both the tricks and the rice were blah! 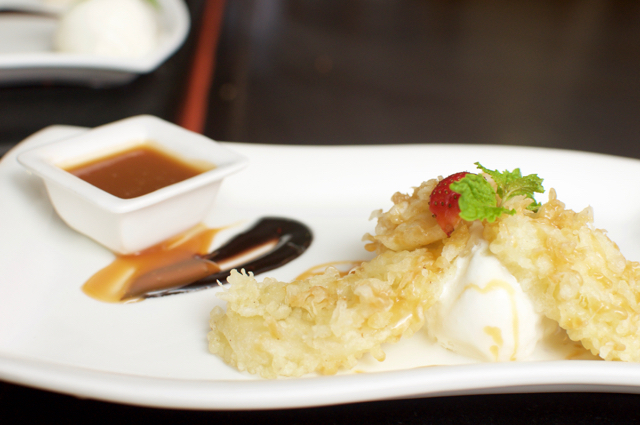 We finished off with Banana Tempura! Their prawn tempura which to date is one of the best we get routinely in Chennai is so awesome and somehow the banana tempura was sort of a savoury-ish dessert and didn't go well! Trick in Teppan is to go big on the starters and slow on the mains and this has always worked for me. This time with the soup and the Shiffudo maki, the new chef has taken the starters to notch above what was already high by Chennai stand alone standards! A meal for two will cost about Rs. 2000 for two starters, soup, rice and dessert! 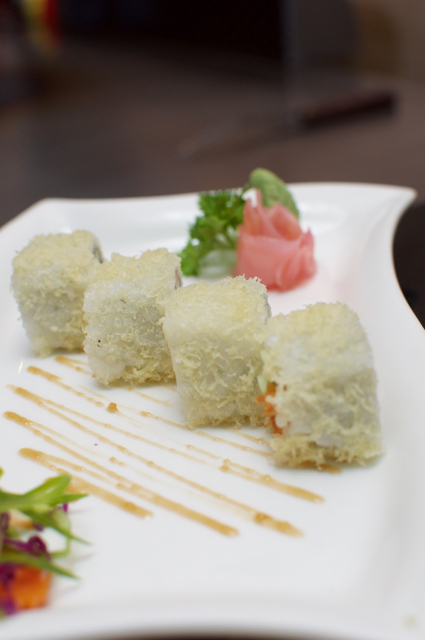 I am yet to try their set menus, but I am going back just for the Shiffudo Maki! 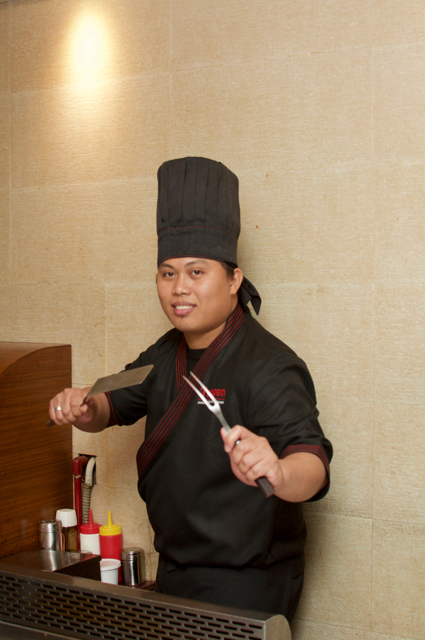 Chennai Foody: Jackie Chan comes to Teppan!